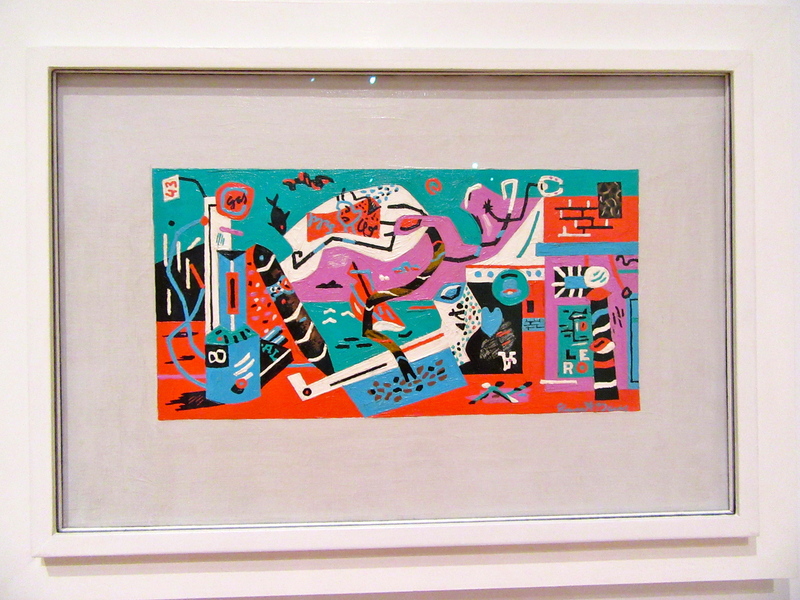 Although he passed away when I was only three years old, Stuart Davis is an America painter whose works I’ve completely fallen in love with through seeing them in the permanent collections of The Met, MOMA and The Whitney – the latter of which is currently hosting a career retrospective of Davis’ paintings entitled In Full Swing, which is just mind blowing. 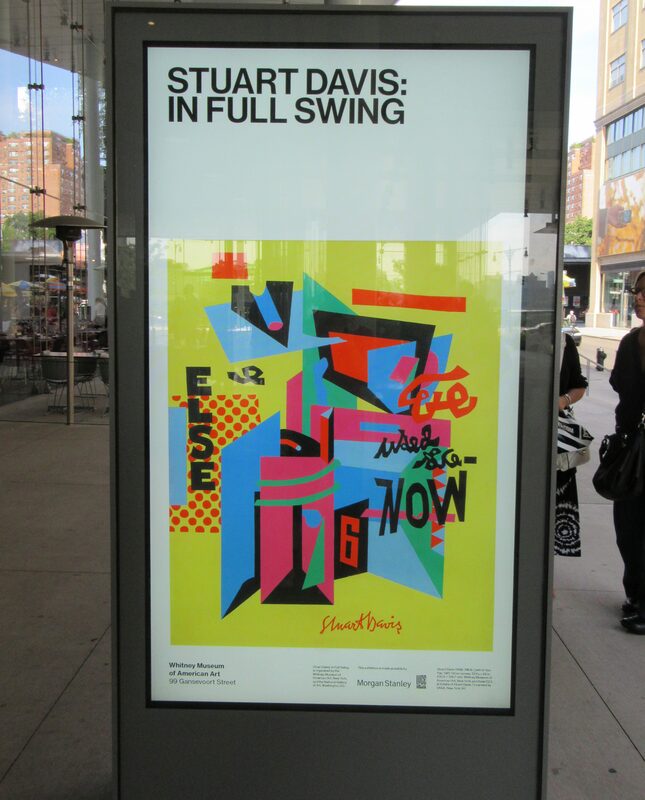 If you are a Davis fan, this exhibit is a must-see. If you’re not yet familiar with his work, now is the time to get yourself an education. 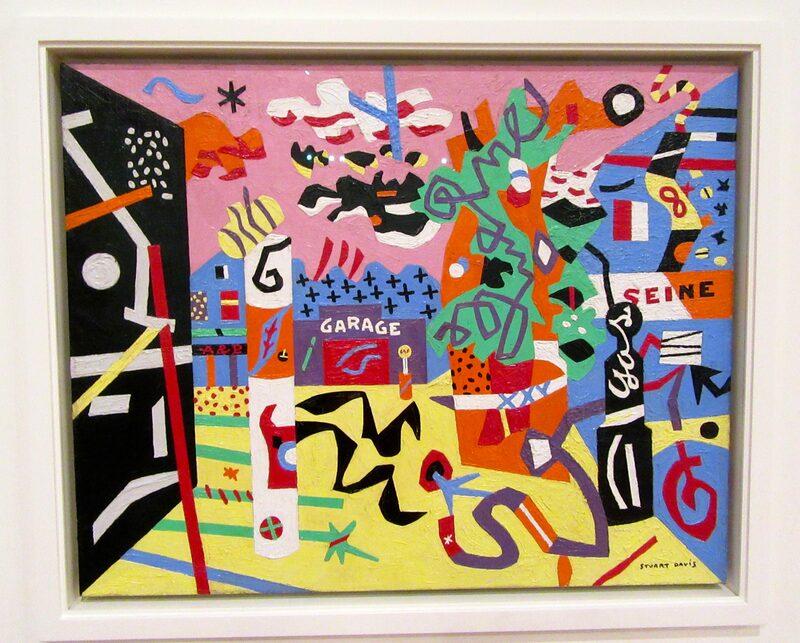 Stuart Davis (1892–1964) was one of the preeminent figures of American modernism. 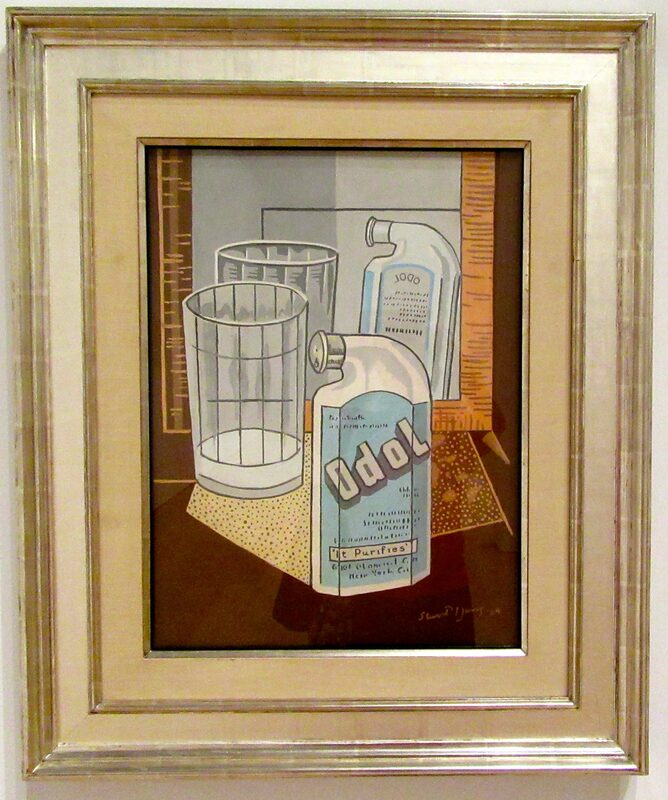 With a long career that stretched from the early twentieth century well into the postwar era, he brought a distinctively American accent to international modernism. 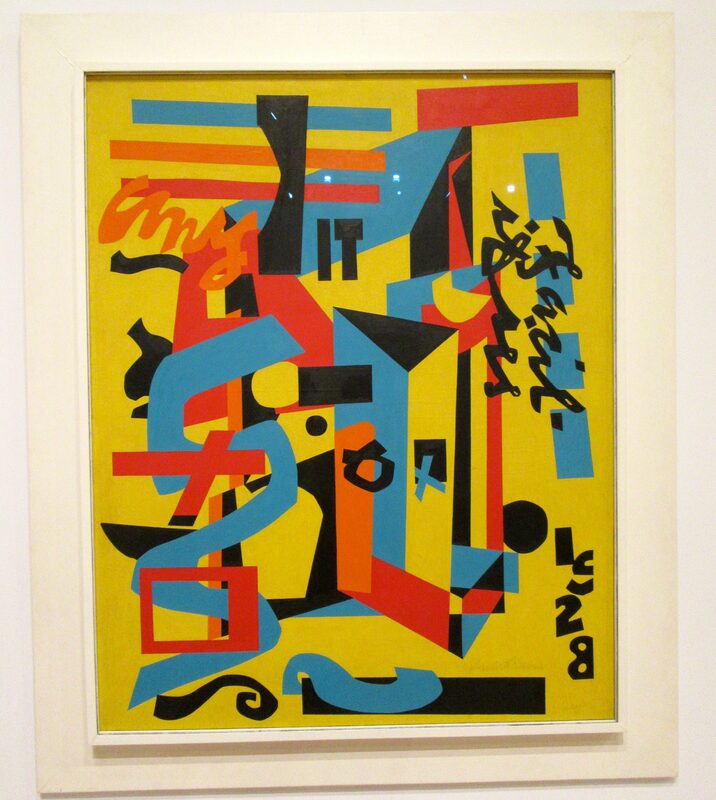 Faced with the choice between realism and pure abstraction early in his career, Davis invented a vocabulary that harnessed the grammar of abstraction to the speed and simultaneity of modern America. 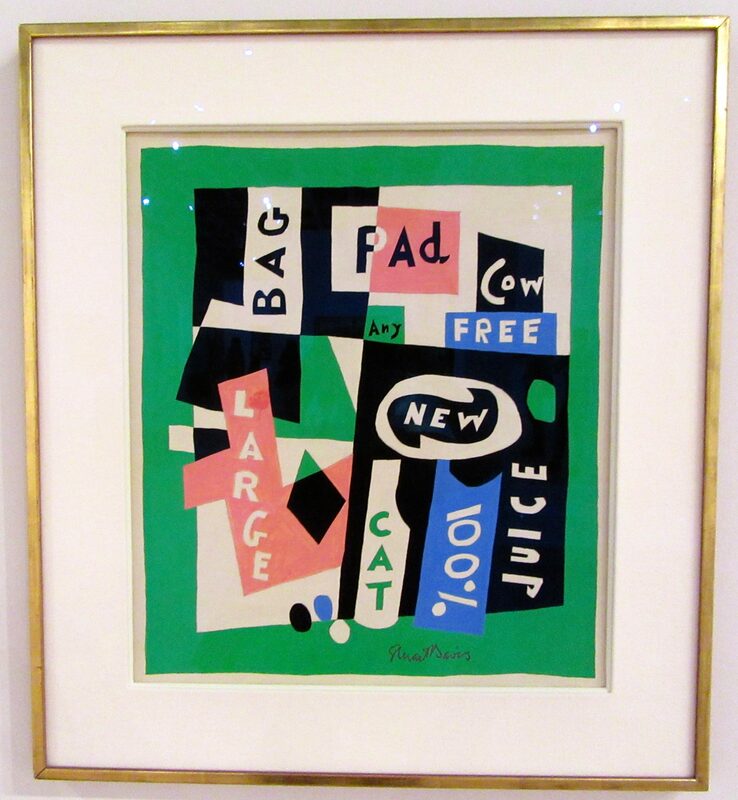 By merging the bold, hard-edged style of advertising with the conventions of European avant-garde painting, he created an art endowed with the vitality and dynamic rhythms that he saw as uniquely modern and American. 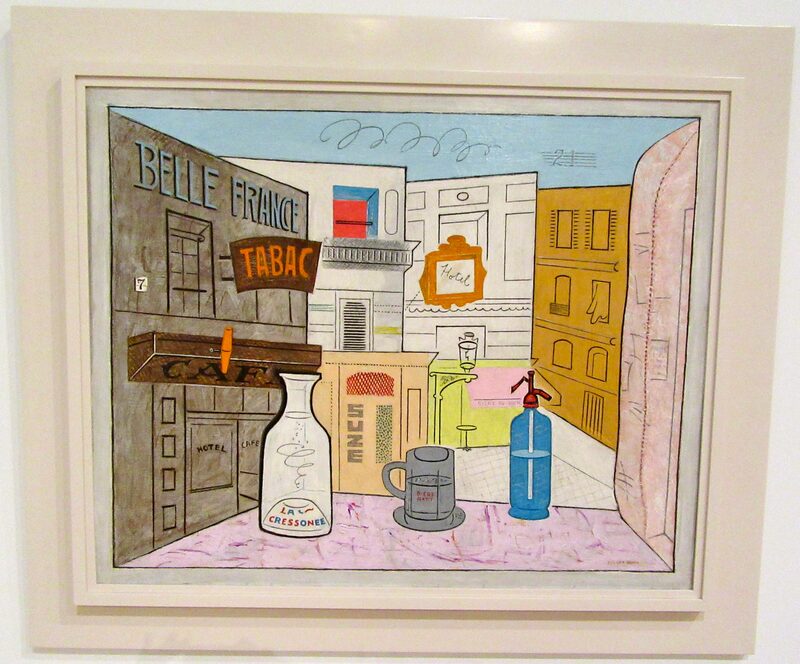 In the process, he achieved a rare synthesis: an art that is resolutely abstract, yet at the same time exudes the spirit of popular culture. 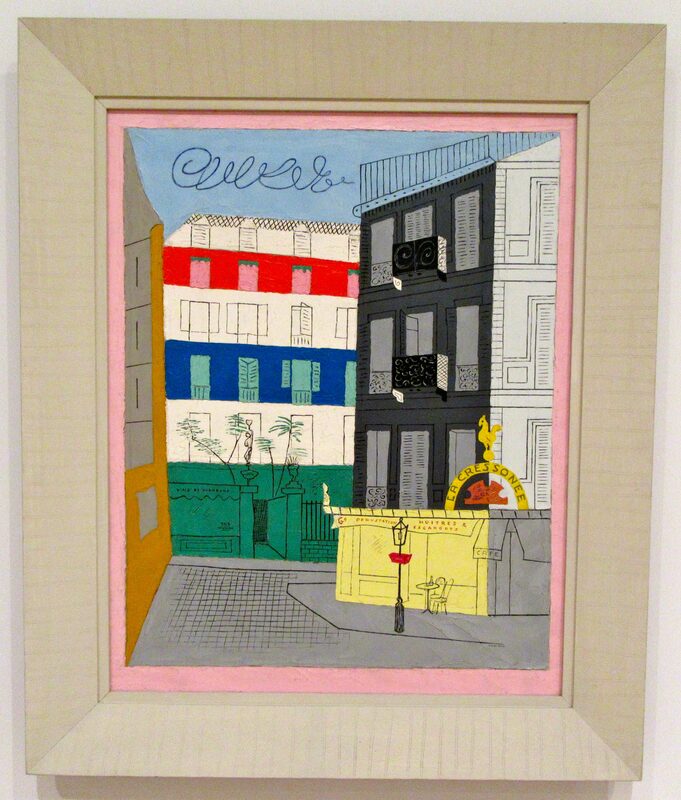 The exhibition is unusual in its focus on Davis’ mature career and on his working method of using preexisting motifs as springboards for new compositions. 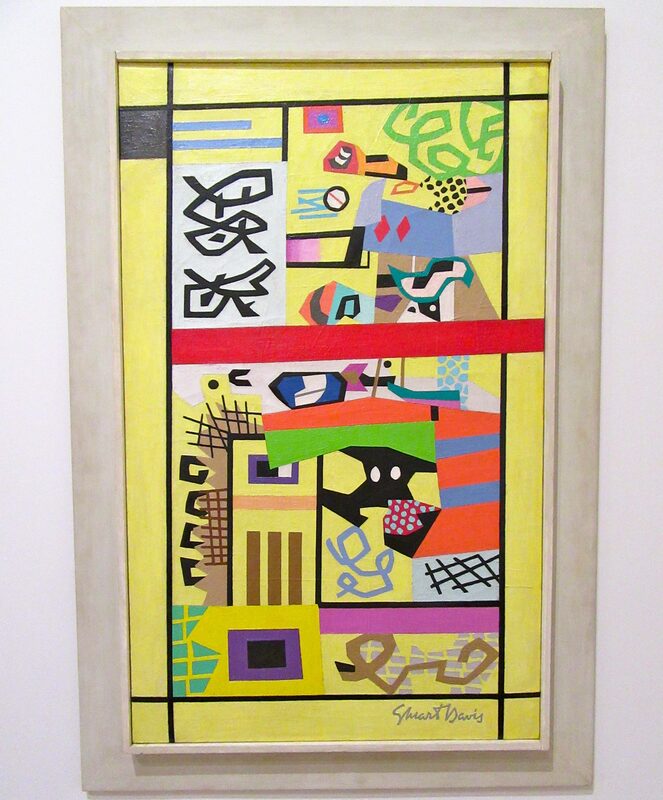 From 1939 on, he rarely painted a work that did not make reference, however hidden, to one or more of his earlier compositions. Such “appropriation” is a distinctive aspect of his mature art. This presentation is the first major exhibition to consistently hang Davis‘ later works side by side with the earlier ones that inspired them. 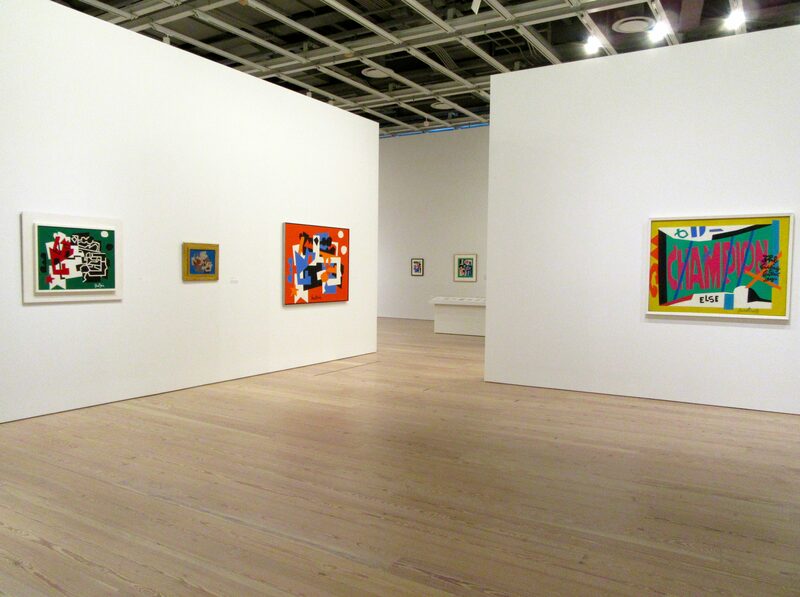 With approximately one hundred works, from his paintings of consumer products in the early 1920s to the work left on his easel at his death in 1964, the exhibition highlights Davis’ unique ability to transform the chaos of everyday life into a structured yet spontaneous order that communicates the wonder and joy that can be derived from the color and spatial relationships of everyday things. 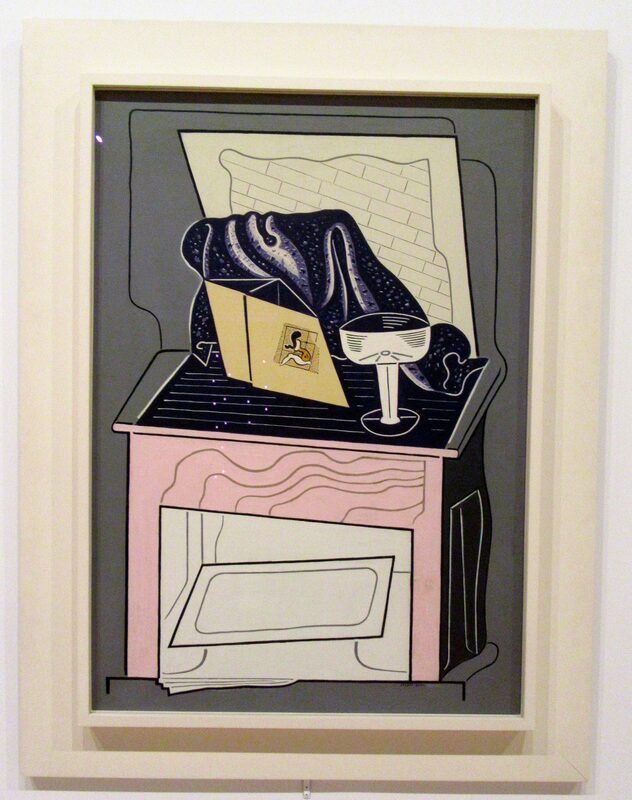 In Full Swing is divided into five sections covering various periods of Davis‘ career: Product Still Lifes 1921–25, Egg Beaters 1927–28, Paris, New York and Gloucester, The 1930s, The 1940s, The 1950s, and Late Work. The beginning of each section includes engaging biographical information detailing what was going on with Davis at that time, so you will learn a lot about him as a man as well as an artist, and you will be drawn deeply into his unique world. 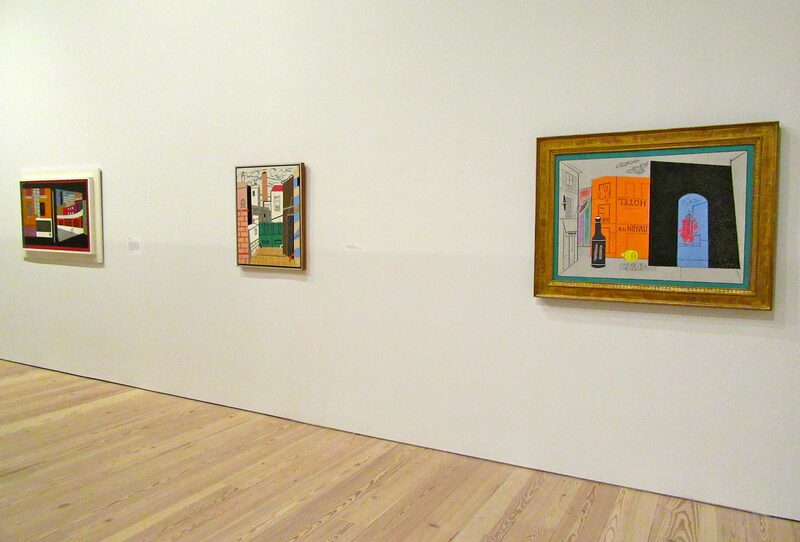 After the Frank Stella retrospective from 2015, this is my favorite exhibit at The Whitney’s new location so far. 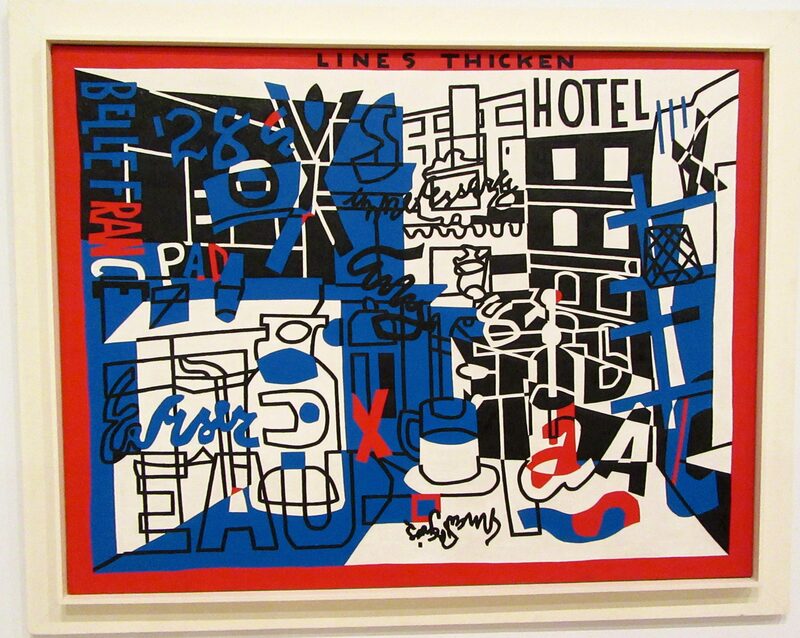 Stuart Davis suffered from heart problems and high blood pressure for decades. 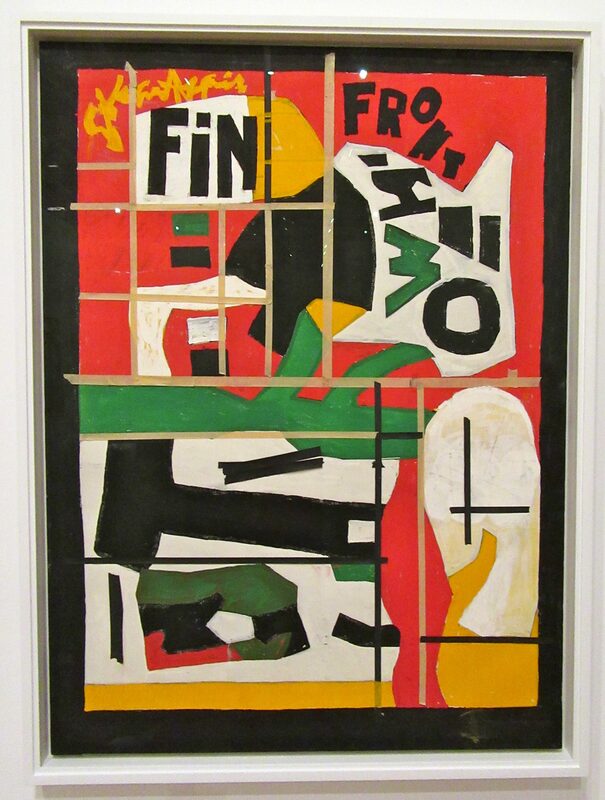 On June 23, 1964, after watching a French film on television that ended with word “Fin”– which means “The End” — he added the word to the painting on his easel before going to bed. 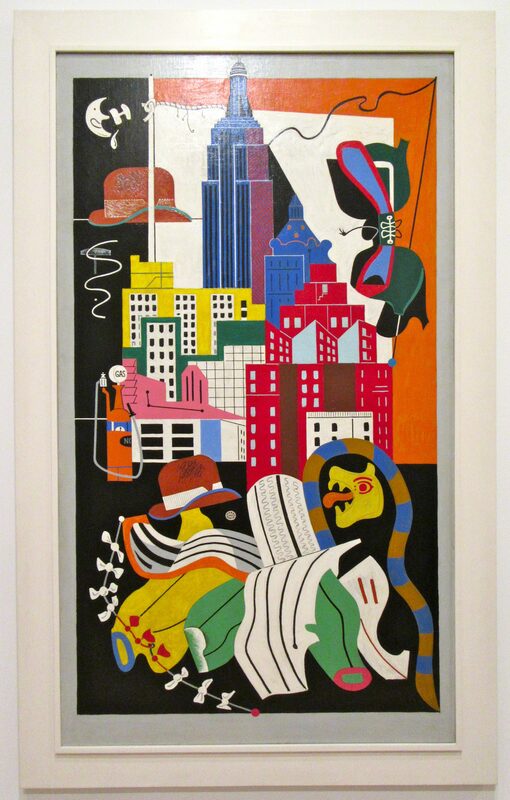 That night, he had a stroke and died in the ambulance on the way to New York’s Roosevelt Hospital. He was 71 years old. 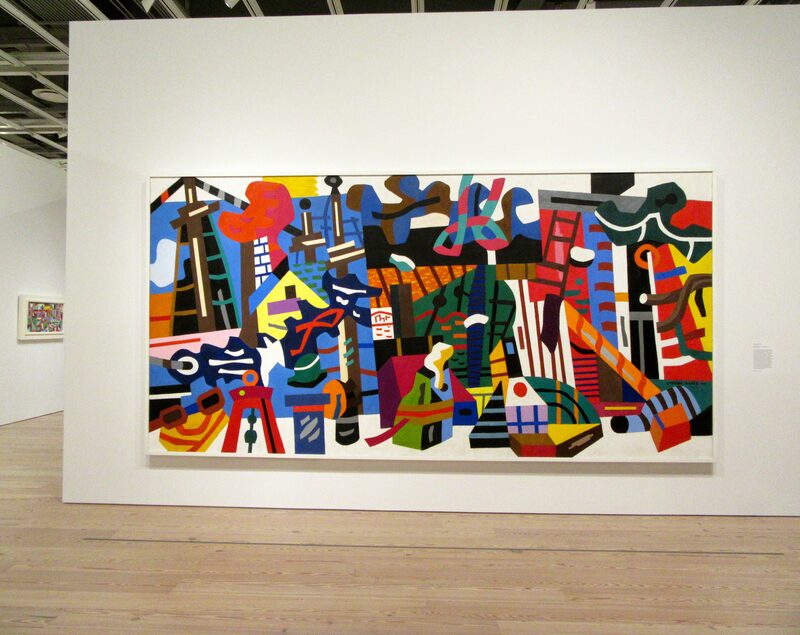 Stuart Davis In Full Swing will Be on Exhibit Through September 25th, 2016 at the Whitney Museum of American Art, Located 99 Gansevoort Street in Manhattans Meatpacking District. Get More Information on the Exhibit By Visiting This Link!